The Artist Elite® AE2300 cardioid instrument microphone features propriety double-dome diaphragm construction for excellent high-frequenc.. The AE3000 delivers supreme performance at extreme SPLs. 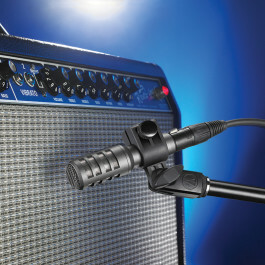 This high-SPL mic is perfect for guitar cabinets, toms, snare, timpani, horns and.. Revolutionary dual-element design represents a ground-breaking transducer achievement. Two elements (condenser and dynamic) are enclosed in .. 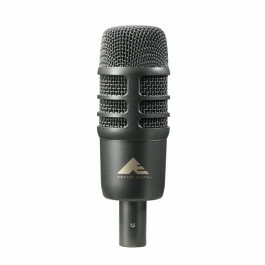 The AE5100 provides uncompromising sound quality for overheads, percussion, acoustic guitar, strings and other acoustic instruments as wel..
Audio-Technica’s high-performance AE4100 cardioid dynamic vocal microphone delivers aggressive sound that stays up front in the mix. 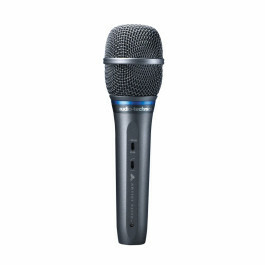 Opt..
With pristine audio quality, ultra-low handling noise and high-frequency clarity, Audio-Technica’s AE3300 gives voice to the subtleties .. The Artist Elite AE6100 hypercardioid dynamic vocal microphone delivers clean articulation, fast transients and high output, assertive sou.. The AE5400 delivers pristine sound quality. 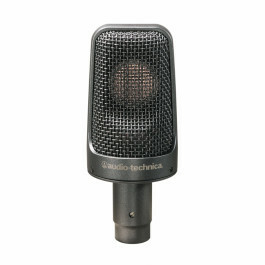 Featuring the same element as the classic AT4050 studio mic, its large-diaphragm capsule assur..